Manchester Press! Last cafe of my entire five-month wandering journey in Melbourne. The other one that got away was Hardware Societe that has a perpetual, permanent queue. But Manchester Press has a queue that is quite hard to beat as well, you put your name in the list and basically you stand around this alley and wait for your name to be called. Have no idea what Manchester Press had before entering, all I knew was this is one of the 'cafes that I should have visited if I have been to Melbourne'. Damn, click farm listicles! Typical. Manchester Press comes across like a dungeon, really dark and huge and cavernous, it's unique. After all it's really hidden in a backalley. 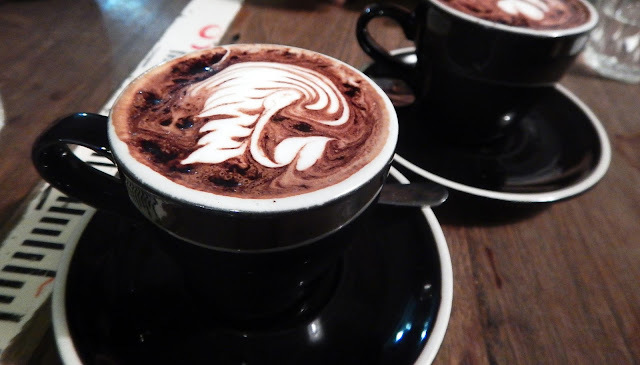 Start off every single brunch with a mocha - this is where all my money goes, I swear. 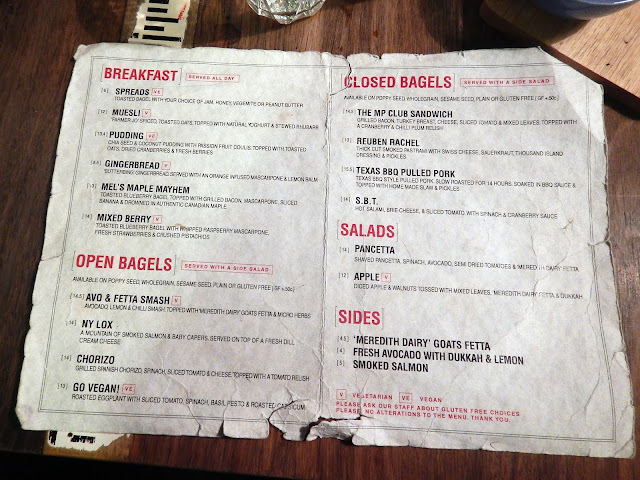 Closed or open bagels for you? At Manchester Press, you're the king - you get to choose if you want poppy seeds, wholegrain, sesame seed, plain or gluten free bagels. Ohh that's too many choices for real. 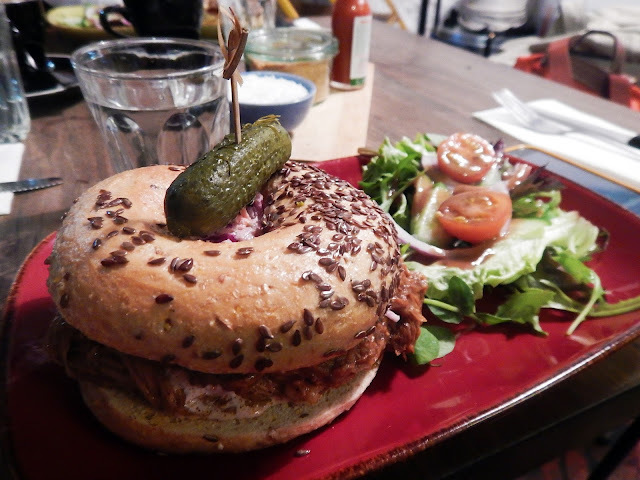 We got the texas bbq pulled pork bagel - slow roasted for 14 hours, and topped with home-made slaw and pickles - the popular choice around here and the Ny Lox open bagel - mountain of smoked salmon and baby capers, served on top of a fresh dill cream cheese! The situation on the table - bagels served, cameras out, coffees drunk to the bottom of the cup. You can guess how long the service took... but hey, good things are worth waiting for (I don't say this often because my patience runs thin easily). I'm actually not a huge fan of bagels, but in the honour of trying-new-things-because-I'm-on-exchange (plus this is one of those cafes) - I tried this, and it was superb, it is just one of those things that demand for your liking. The texas bbq pulled pork was thoroughly marinated and drenched in the BBQ sauce so the bagel had none of those dryness issues that I anticipated. Great job here, and yes, this place is definitely recommended.